Hello everyone! This time I'd like to show you my interpretation for this month's IBB MUC feat. 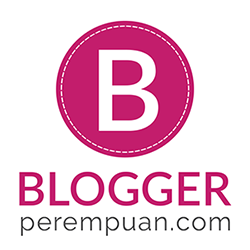 Etude House Indonesia: Summer Fairy Tale! As you can see, there are several acne scars and few breakouts on my forehead and cheek. Also, I have those thick eye bags caused by lack of sleep, I'm not perfect, but my skin improves a lot when I am back to Menard for my skin care routine. After applying skin care basics (toner-serum-moisturizer), I put Etude House CC Cream Glow. You can see the difference below. I apply it on my right side of the face. Etude House CC Cream in Glow evens out my skin tone and also has glowy, dewy finish. After that, I apply Etude House Precious Mineral BB Cream in w15 to my whole face. This is the result. skin tone is brighter and more even. Now let's color the eyes! 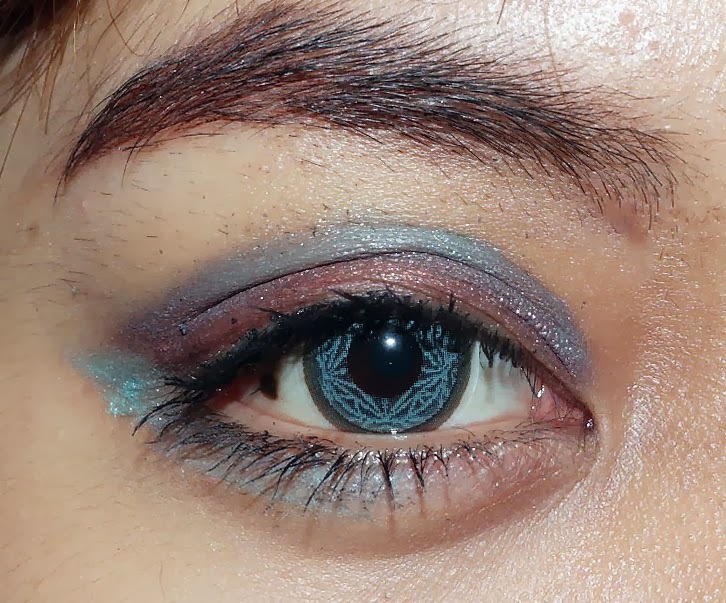 Etude House Indonesia kindly sent me Bling in The Sea Color Eye Stick to create this Summer Fairy Tale look. I got two Color Eye Stick; Aqua Blue & Tanning Brown. After that, I blend it using the built-in applicator. Next, applying Tanning Brown eye stick to the corner of my outer eye. Blend, blend, then add eyeliner and mascara plus aqua softlens to match the eyeshadow, this is the final result! For the hair, it's just a messy bun using the hair piece. Talking about hair, I changed my hair color again at One Piece Hair Studio Central Park. It was supposed to be Lavender Ash Brown, but it turns out like this. But I like it still :) It's done by Kevin, and I like how he understand that I want to keep my hair long. Lens by Freshkon Dezigner Aqua Solitaire. I love the pattern and it's not that shocking, though it's blue. Don't forget to join as well ya!